10 clinical attributes to become a successful freelancer on Fiverr! What are the attributes that make an ordinary person a successful freelancer on Fiverr? Have you got the question in your mind ever? 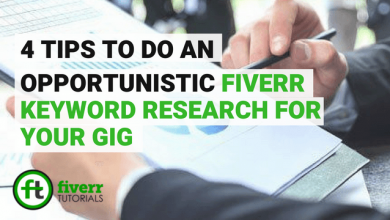 Are you still stuck with the conventional habits of optimizing the Gig title, creating a catchy thumbnail and all that? If so, let me tell you, you might earn a handsome amount of money but never be a role modal! Because, it’s not just achieving something, the game here is for how much time you survive with those achievements. To become a successful freelancer not particularly on Fiverr and not even as only as a freelancer, you’ve to sacrifice your time, your potential, entertainment. In simple words, you’ve to shatter your comfort zone. One has to think outside of the box beside creating an optimized Gig, keyword research etc. 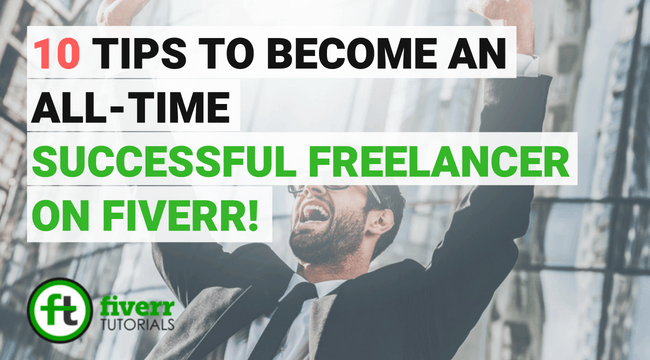 How Can You Become a Successful Freelancer on Fiverr? So, in this inspirational article, I’m going to share some key qualities to possess in order to become a successful freelancer on Fiverr. A successful freelancer on Fiverr never forgets the power of ethics in doing a job. He/ she always do every single task with the best plan and more importantly the dedication. This freelancer manages his time schedule smartly because he knows the importance of time management in the life of a freelancer. Moreover, he treats his client with mere humbleness and respect, the key rule of finding permanent clients. Everbody is hungry for some respectful words uttered for him. Respect your client to build a strong relationship with them. Being your own Boss is the key to success as a freelancer. One of the crucial reason behind a successful on Fiverr is that he never compromises on the client’s requirements. Receiving the Gig revisions and reviews are as important for as to survive on the platform. He works with 100% dedication until the buyer’s needs are fulfilled. He always ensures that the exact product will reflect exactly the buyer’s desires. That’s the genius quality which differentiates an ordinary seller to the Top Rated Seller on Fiverr. Updating the clients with the project progression matters a lot! And when you’re working on multiple projects at the same time, it gets a little bit challenging. But, the dedicated freelancer always tries to keep updating his clients that he is working consistently on his project to produce some quality stuff. So always keep in touch with the clients to increase the sales. The quality of work ends with trust and reliability! A true man work not only to earn but also to promote the spirit of trust which awards him with the label of successful freelancer in all formats of the field. It can’t be attained until you serve the clients with the top-notch product as promised in the profile and the Gigs. This commitment takes you to work long-term for that buyer. say nothing and be nothing! Some of us doesn’t like the person saying against them. They always look for the people start narrating their good habits and make them feel part in front of some people. Excuse me! if you’re one of such persons, you’re missing the plot surely. Criticism is like a teacher who teaches you life-changing lessons in a bitter way. Why some people become a successful freelancer on Fiverr and some spend months with even with no single order? This may be the reason, they take the unwelcoming feedbacks as their insult and don’t realize that there might be a good suggestion from the critic’s point of view to polish yourself. For example, a person getting a negative review at the early start of his career can get frustrated and furious resulting in resigning the cause or cursing the buyer. That’s where the freelancer’s beauty comes into place, he/ she welcomes the denunciations and learn lessons to improve his services. 6) Never Compromise on Excellence! In freelancing, the results matter a lot! It’s the only thing to survive any freelancer on any platform. Remember, the goal of the buyer is to get his job done handsomely and nothing else. For a buyer, it doesn’t matter how much efforts, time and energy you put together to finalize the product? If their requirements are not justified, those efforts will be moved to trash instantly. A successful freelancer on Fiverr or any other marketplace works extremely hard to put together the desired outcome for his clients. He never settles for average, good, best or excellent, but something that is matchless. Confidence in inevitable. To become a successful freelancer on Fiverr, confidence goes a long way. You should be inborn confident to deal with the clients i.e. discussing the requirements, budget fixing etc. 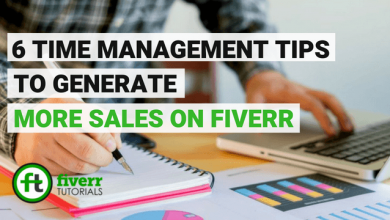 The smart freelancers don’t really need to show off that confidence (over-confidence) they are confident enough to engage the buyers by adding some exciting segments to the conversations. Make sure you are’ confident in your doing, services and the opinions to promote your services as a successful freelancer. Continuing your learning process (especially the academic education) becomes a tougher job for the established freelancers. Obviously, with the running streams of dollars who would want to read or cram those traditional books? But, it’s not compulsory that you only learn from those conventional books. You’ve countless opportunities to learn every kind of lesson in the daily life. In freelancing, you deal with the personalities of variated temperament, work on every flexible project and also endure every kind of feedback etc. You can learn from these experiences to improve your personality, professional skills and much more to become a successful freelancer on Fiverr. 9) Don’t Hesitate to Say “No”! Every time you don’t really need to agree with the buyer. You’ve to find your area of work to specify your professional scope because a single person can’t conquer the entire castle! So, be honest about your expertise and try to be happy with those. The masterful communication skills are the root skill to win the project. 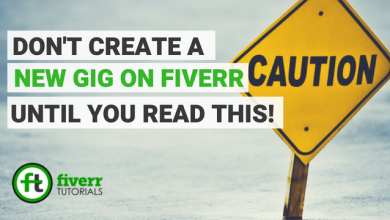 Well, this is one of the required things you should do before creating an account on Fiverr! Good communication skills can take you long term with the buyers with an excellent experience. The successful freelancers are really good at this, they know the importance of communicating well with the clients and work on it hard. Make sure, you’ve mastered communication skill to persuade the buyers on your offers. That’s it! 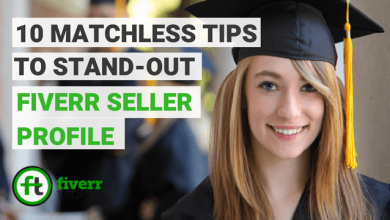 these are some tested ways to make you a successful freelancer on Fiverr in no time. Don’t limit yourself to just optimizing the Gigs and the buyer request, try to work on these areas. You will experience some remarkable results, hopefully. Good to know that our content and efforts could help you. We would love to serve you in the future as well. 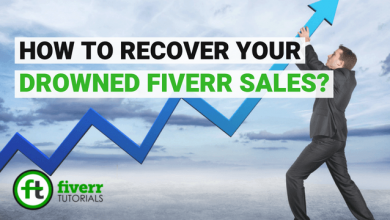 Keep visiting fiverrtutorials.com for valuable content in the future as well.